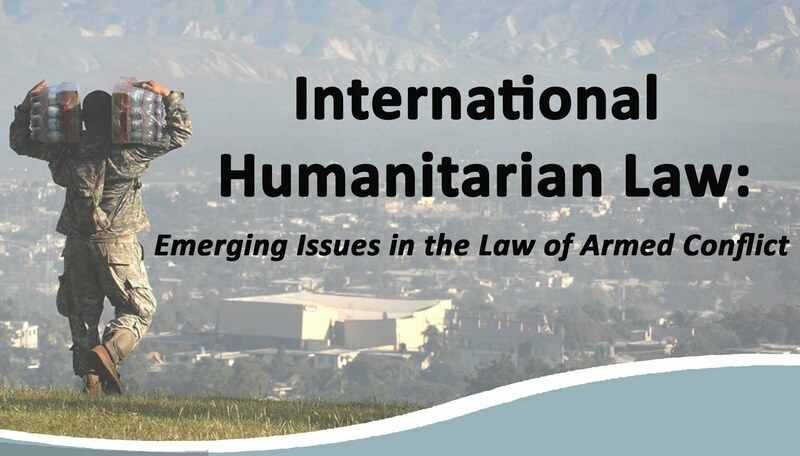 "International Humanitarian Law: Emerging Issues in the Law of Armed Conflict" is the theme of a conference to be held from 9:30 a.m. to 3:30 p.m. Wednesday, March 23, at American University Washington College of the Law in Washington, D.C. It's cosponsored by the law school's Center for Human Rights & Humanitarian Law and the American Society of International Law. The date coincides with the 1st day of ASIL's annual meeting, about which we've posted here and here. ► Robert Clarke, University of Western Australia in Perth, for "The Klub-K Anti-Ship Missile System -- A Hypothetical Case Study in Perfidy and Its Repression".